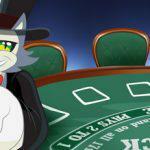 Excited to play Blackjack? We don’t blame you. It’s one of the best casino games on the floor, and one that many first time casino players flock to after deciding to expand beyond slots and Roulette. Why is it so popular? 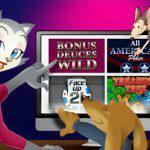 For one, it’s one of the few casino games where the player has some control over the outcome of the game. Sure, you can’t make the cards you want suddenly appear, but you can employ some smart strategies to make sure your bankroll remains healthy and that you make the right moves to win. Today, we’ve got three big strategies that are worth paying attention to, so let’s get right to it. 17 is one of those hands that seems solid off the bat, but the truth is you’ve got 4 numbers left that could push you to 21, and that also means 5 numbers that could give the dealer an edge, assuming he’s showing a 16. So if you have a soft 17 (which is an Ace and a 6) always hit. Your new card will guarantee that you’ll stay in the game. At worst, you’ll end up with a 17 if you hit a 10 and will be forced to stop. And at best, you’ll push higher to 21. While some diehard Blackjack players will tell you to enjoy your 17 against some hands, we advise against it if you want to win. When you play live, you’ll be invited to split 10s. Some casinos will let you split a King and another 10-valued card, like a Queen, 10 or Jack. Other casinos will require that you have identical cards should you want to split them. Whatever you do don’t split them. If you’ve got two fives, you’ve got a 10, which is a great hand for hitting or doubling down on, depending on what the dealer has. 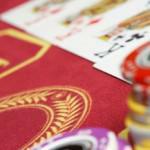 If you’ve got a pair of tens, you’ve got 20 and can only be beaten if the dealer hits 21. Chances are you’ll win or, at the very worst, push. OK, at the very worst you might lose, but let’s not think that way. If you play online Blackjack or even live Blackjack, chances are you’ll run into a situation where the dealer shows an Ace. Before you get to make your move, you’ll be asked if you want to take insurance. Basically, you’re putting down extra money, which you’ll win if the dealer has a 10 underneath. If the dealer doesn’t have a 10, you’ll lose that bet. And while an Ace can be scary, more often than not the dealer won’t show a 10. While there’s no officially science or math behind that statement, you’ll see what we mean when you play. Your best bet is to avoid the insurance bet because you’re just giving money away to the casino. 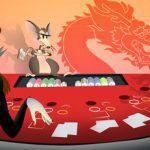 Ready to put these amazing Blackjack strategies to the test? 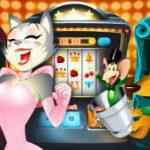 Download the free CoolCat Casino software, create a free account, and enjoy Blackjack 24/7 for free (notice the free theme here?). You can see how these strategies work for you without risking a cent, and if you do well, you can make a deposit and win for real. Try it out now and see what you’re missing.